The Abisko View 2 Tent is a self-supporting three-season tent with excellent ventilation, optimised for use during the warmer months of the year. The vestibules can be entirely rolled up on both sides of the tent so you can enjoy the view from the inner tent while keeping insects at bay. The flysheet is raised on the short ends and this together with the highly positioned vents and inner tent entirely in mesh fabric makes the tent incredibly well ventilated and perfect for tropical adventures. 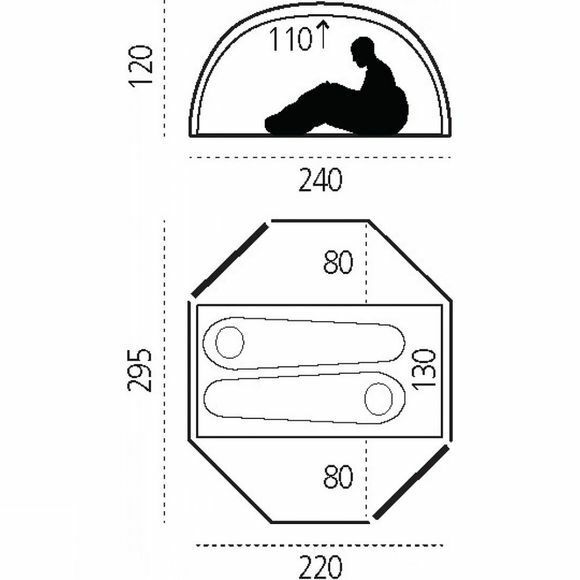 In unstable but warm weather the doors can be fastened in half-open position, leaving the inner tent protected from the rain. Two openings and two vestibules make it easy to organise your side of the tent, and give you the possibility of using the entrance on the lee side during windy weather. Generous height provides comfortable tent life. Inside the inner tent is a clothes line and six storage pockets for bottles, flashlights, clothes etc. 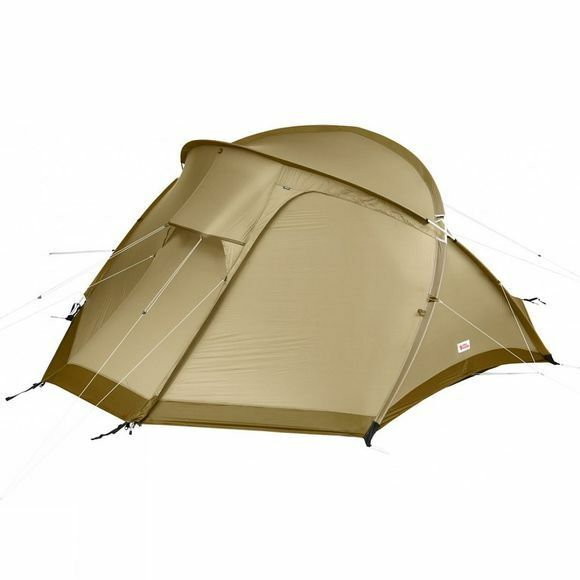 The flysheet is made from Fjällräven's high-performance TripleRip nylon and an innovative construction that combines two different fabric weights – 20 denier in the top part and 40 denier at the bottom where abrasion is most intensive – giving excellent strength despite the tent's low weight.